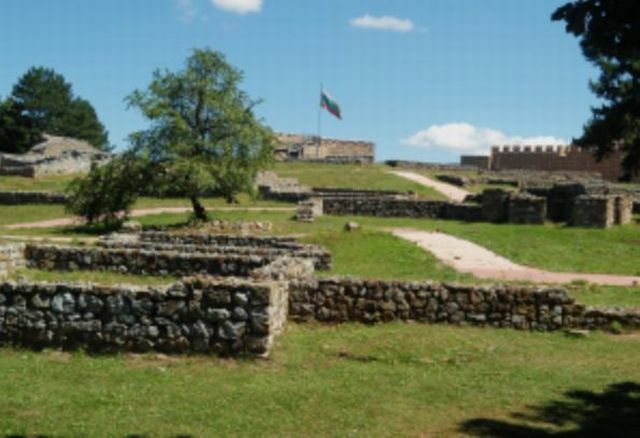 The criticism for Bulgaria’s recent initiatives for the restoration of archaeological monuments is expressed in an open letter to Bulgaria’s President, Council of Ministers, and National Assembly (Parliament), by Gustavo Araoz, President of ICOMOS, which also provides UNESCO with advice on World Heritage Sites. The ICOMOS President believes that current “rush” for archaeological restorations in Bulgaria may in fact be endangering the monuments, and may even affect the seven Bulgarian sites that have been granted UNESCO World Heritage status. During its most recent meeting held in Paris on 9 -10 March 2015, the international ICOMOS Board was officially informed by the Bulgarian National Committee of ICOMOS about worrying trends in current policy approaches to conservation and restoration of cultural heritage in Bulgaria that have already substantially and visibly endangered a number of cultural monuments in the country. ICOMOS is also deeply concerned that these policy approaches may result in adverse effects on the Bulgarian cultural properties inscribed on the UNESCO World Heritage List. ICOMOS understands that these changes in policy approaches have been motivated by an effort to support regional development in the country by increasing cultural tourism. 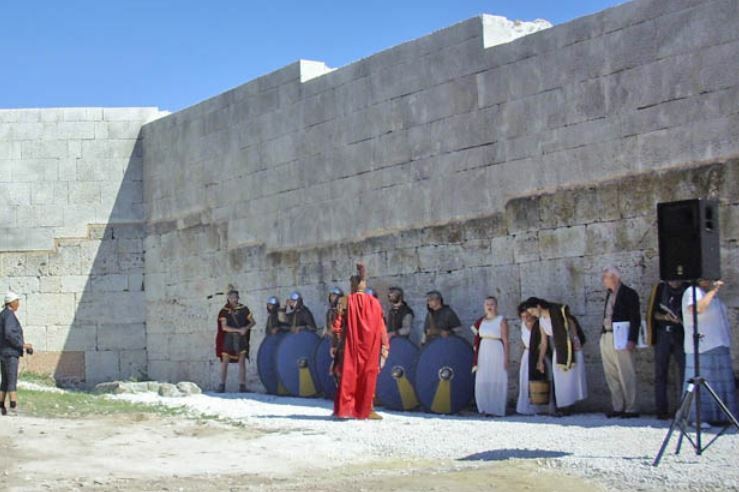 While policies benefitting local communities are welcome, the cases presented in the report submitted to the ICOMOS Board make it immediately clear that this process has stimulated a widespread trend of large-scale conjecture-based reconstructions on top of the ruins of archaeological sites in Bulgaria. Rather than enhancing the significance of the monuments involved, the large-scale replacement of missing original materials and forms is destroying the authentic spirit of these monuments and sites. By substituting original structures, these new constructions actually falsify history and cause an irreversible loss of authenticity. In addition, they may render any further scientific research impossible. Such reconstructions go against internationally accepted scientific approaches to conservation and violate the principles of the Venice Charter, Nara Document of Authenticity as well as the Operational Guidelines for the implementation of the World Heritage Convention (paragraph 86), to which Bulgaria is a signatory. Establish, with the comprehensive expert assistance of ICOMOS Bulgaria and all of ICOMOS more generally, a continuous training programme in the field of heritage conservation aimed at building relevant capacity within local authorities for addressing issues related to heritage protection and cultural tourism. ICOMOS assures all cultural authorities in Bulgaria of our willingness to help and advice. As a first step in this direction, ICOMOS is ready to contribute to this process by organizing an on-site mission to Bulgaria in support of a scientific assessment of the implementation of internationally accepted conservation principles to the cultural heritage of Bulgaria. One of the critics of the archaeological restorations in Bulgaria has been architect Prof. Todor Krastev, a former head of ICOMOS Bulgaria and currently an expert at the organization. He has recently been called a “swindler" by National Museum of History Director Bozhidar Dimitrov, who is a major proponent of the restorations, and has even started a NGO to raise money for the restoration of major structures in some of Bulgaria’s medieval capitals such as the Great Basilica in Pliska, capital of the First Bulgarian Empire between 680 and 893 AD. The critics of the archaeological restorations argue that many of the restorations currently underway or already completed in Bulgaria are compromised by insufficient historical and archaeological data, and by embezzlement of funding on the local and national level. They say many of the projects are only seeking to gain from absorbing EU funding slated for regional development and cultural tourism in Bulgaria. They usually point out as examples the notorious restoration of the medieval fortress Krakra in the western Bulgarian city of Pernik where the construction company used cheap plastic materials to restore a medieval fortress wall, or the Yalata Fortress on Bulgaria’s Northern Black Sea coast where for some reason the restorers installed a glass banister on top of the fortress wall. The proponents of the restorations argue that they are crucial for both the development of the Bulgarian regions through the promotion of cultural tourism, and for restoring the national memory of the Bulgarians as well as historical justice since most if not all of the some 6,000 ancient and medieval fortresses and monasteries that the Bulgarian Empire towards the end of the 14th century were razed to the ground by the invading Ottoman Turks iin the Late Middle Ages. They usually cite as success stories the partly restored fortresses and churches of smaller medieval cities such as Perperikon, Belchin, Peshtera, Byala, among others, which already welcome between 250,000 and 500,000 tourists per year. These arguments have been summed up best in an eloquent recent statement of Bulgaria’s National Museum of History. One Bulgarian institution which has come under fire as a result of the whole archaeological restoration controversy has been the National Institute for Cultural Heritage Properties of the Ministry of Culture whose employees have recently been reduced from 57 to 45 regardless of the fact that the Institute has important and wide-ranging responsibilities – it is in charge of assessing and allowing or banning investment initiatives having to do with cultural monuments and construction projects on the territory of archaeological preserves. One of its architects, Yana Topalova, a chief expert at the Institute, was fired in February 2015, after giving an interview for Bulgarian news cite Offnews in which she criticized the management of the institution as well as Bulgaria’s Minister of Culture Vezhdi Rashidov for trying to put the Institute’s employees under direct control, and to dictate their decisions regarding archaeological restorations and construction projects. The Krakra Fortress in today’s western Bulgarian city of Pernik is a medieval fortress of the First Bulgarian Empire (632/680-1018 AD). It is named after Krakra of Pernik, also known as Krakra Voevoda, a Bulgarian boyar, a feudal lord ruling over 36 fortresses in Southwest Bulgaria at the beginning of 11th century. He is known for his resistance against the invading Byzantine forces stopping twice the advance of Byzantine Emperor Basil II the Bulgar-Slayer (r. 976-1025 AD) on Sofia (Serdica, Sredets). Krakra of Pernik ruled during the reign of Bulgarian Tsar Samuil (997-1014 AD) but often acted against Byzantium with his own forces. The fortress of Pernik was founded after 809 AD when Khan (Kanas) Krum (r. 803-814 AD) conquered Serdica (today’s Sofia) for Bulgaria, probably during the reign of his son, Khan (Kanas) Omurtag (r. 814-831 AD). Before that, the strategically located hill was the site of a major Ancient Thracian fortress from the 6th-5th century BC. 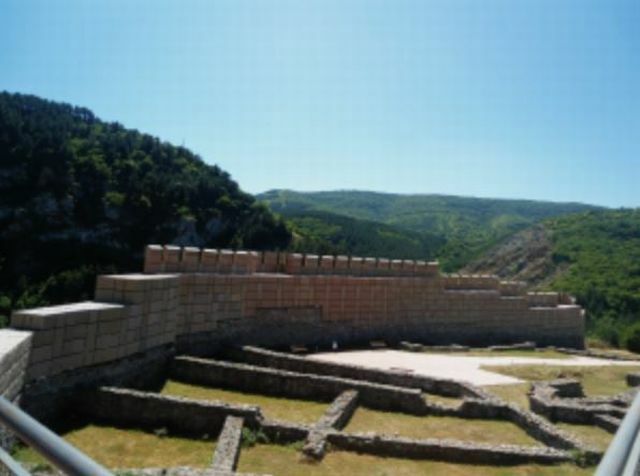 Krakra was a relatively large fortress in medieval Bulgaria, with a fortified area of about 50 decares (app. 12.4 acres). Its fortress wall spanned 800 m lining the natural curves of the plateau, and was 2 m thick. The fortress was last used before the Western European knights from the Third Crusade passed nearby in 1189-1192 AD, and after that was abandoned. It was besieged twice by Byzantine Emperor Basil II the Bulgar-slayer, in 1004 and 1016 AD, both times unsuccessfully as the defenders prevailed under the leadership of Krakra of Pernik, as described by 11th century Byzantine historian John Skylitzes (ca. 1040-ca. 1101 AD). The 1016 siege was especially fierce; it lasted 88 days, and cost the lives of many Byzantine soldiers, which is why the valley below the fortress is still known today as “The Bloody". When all of the First Bulgarian Empire was conquered by Byzantium in 1018 AD, the Krakra Fortress was the last to fall. The ruins of the Pernik fortress today feature remains of the fortress walls, residential buildings, a crossed-dome church, a large three-nave basilica, and a small two-story tomb church. This is where Bulgarian archaeologists have found a silver seal of St. Tsar Petar I (r. 927-970 AD), the only silver seal of a Bulgarian monarch from this time period. Tsar Petar I made a stop at the fortress on his way to meeting Bulgaria’s patron saint, St. Ivan Rulski (876-946 AD), who was living as a hermit in the Rila Mountain. In 2013-2014, Pernik Municipality carried out partial restoration of the Krakra Fortress with BGN 5 million (EUR 2.5 million) of EU funding under Operational Program “Regional Development". Unfortunately, the builders used “alternative" materials for some of the restoration giving the restored fortress wall and gate a “plastic" look. 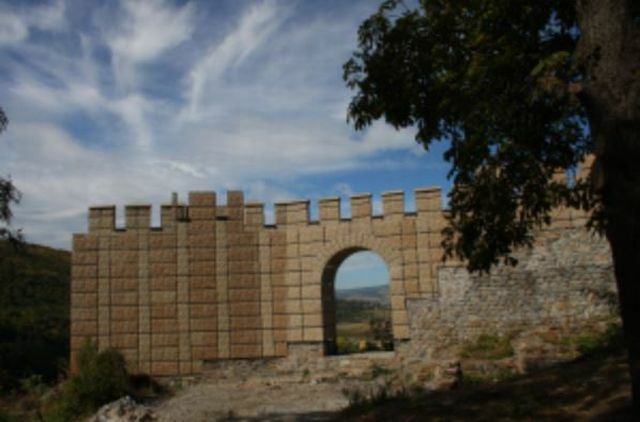 Thus, the restoration of the Krakra Fortress has become notorious among Bulgaria’s archaeological restorations, with critics claiming that the EU money was likely embezzled by local politicians and/or construction entrepreneurs who used cheap plastic instead of proper materials. Bulgaria’s some 6,000 ancient and medieval fortresses were destroyed by the invading Ottoman Turks at the end of the 14th century AD, and archaeological restorations are seen today as a means of restoring the national memory and promoting cultural tourism. 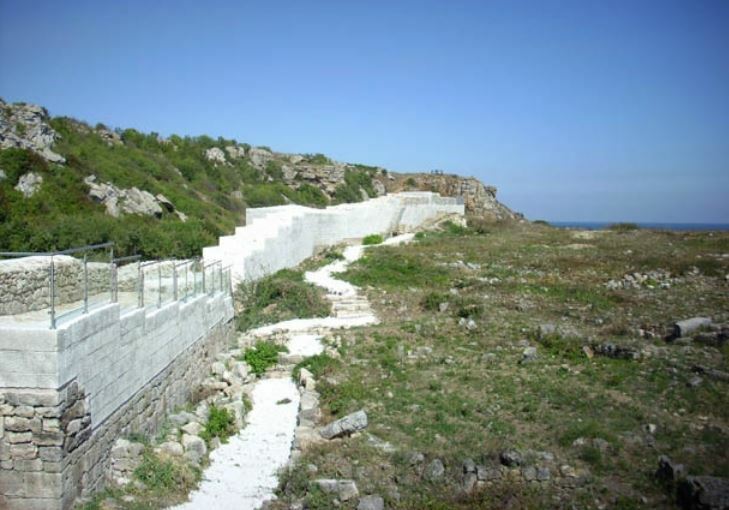 However, the notorious restoration of the Krakra Fortress and some other archaeological sites such as the Yailata Fortress on the Black Sea coast have made archaeological restorations a highly controversial public issue over alleged embezzlement and clientelism.